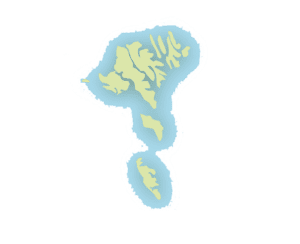 Although the Faroe Islands are located at 62 degrees N the overall character of climate in the Faroe Islands is surprisingly mild due to the Gulf Stream. The average temperature in the warmest months is 13°C resulting is mild summer days and during the winter the average temperature is 3°C. 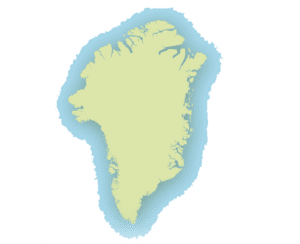 The Faroe Islands receive an average of 1433 mm precipitation annually or 119 mm each month. The month with the driest weather is May when approx. 67 mm of rain, sleet, hail or snow falls in the period of 16 days, whereas the month with the wettest weather is December when approx. 167 mm of precipitation falls within 26 days. Another characteristic of the Faroese climate which really fascinates foreigners is the constantly changing weather. It is changing from day to day, from hour to hour and from fjord to fjord  so it never gets boring! Quite a new experience can be seeing one of the waterfalls flying upwards in strong wind. The characteristic long days and the light nights in summer time add a special charm to visiting the Faroes. As the days get shorter and darkness of night returns by the end of summer it means the ever increasing chances to see northern lights..
One of the first things that foreigners notice when they arrive in the Faroe Islands is the incredibly fresh air. The next thing that strikes visitors is the blindingly green grass that covers the islands all the way up to the highest mountains giving the characteristic feeling of a country clad in green. The average altitude is 300 m above sea level. With good weather conditions the whole archipelago is visible from the peak of Slættarratindur (882 m). The elevation of 754 m makes the Faroese Kap Enniberg the highest cliff in the world. It is an impressive sight to behold as it rises straight up from the sea. The Faroe Islands are of volcanic origin, though the active period is long past. 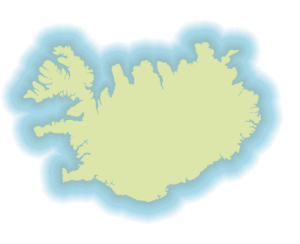 The islands are part of the North Atlantic basalt area, stretching from Ireland to Greenland. Later the glaciers of the ice age restructured the original plateau, to an archipelago with high mountains, deep valleys and narrow fjords. The bird fauna of the Faroe Islands is dominated by seabirds and birds attracted to open land like heather, probably due to the lack of woodland and other suitable habitats. Only a few species of wild land mammals are found in the Faroe Islands today, all introduced by humans. Three species are thriving on the islands: Mountain Hare, Brown Rat and the House Mouse. Grey Seals are common around the shoreline and several species of sea mammals live in the waters around the Islands. The domestic animals of the Faroe Islands are a result of 1,200 years of isolated breeding. As a result, many of the islands’ domestic animals are found nowhere else in the world. Faroese domestic breed include the Faroe pony, Faroe cow, Faroese sheep, Faroese Goose and Faroese duck.